The holidays are upon us. If your home isn’t ready just yet, that’s ok. There are lots of ways you can get your house ready for the festive season and you’ve got plenty of time to pull it off. Here are ten simple ways to bring a little merry into your home for the holiday season. The holidays are just about the only time of year you can cover your house from top to bottom with things that glitter and not get odd looks from visitors. Live it up. Whether you like regular glitter décor or have a taste for crystal, dress the house in sparkle. Candles create ambiance and feel festive at the same time. If it’s safe to do so, line hallways and rooms with candles. If you’re worried about wee ones or pets getting into them, opt for simple centrepieces or a fireplace display. Whenever possible, try to incorporate natural elements into your display. A real Christmas wreath made from fresh winter foliage is a great way to bring the fresh scent of Christmas in your home. Pine is the traditional choice, but preserved boxwood looks lovely too. Top it off with pinecones and berries. Displaying the Christmas cards you receive is a nice way to honour the sender, will make you smile every time you pass it, and creates festive visual interest. Whether you opt for something ornate or simply string them up across an entry or bare wall, they’re sure to make your home merry. Traditional advent calendars are fun for the whole family. You can purchase basic chocolate-filled boxes or make your own countdown. Although you’re probably not going to forget to add lights to the tree, try following the advice of the pros this year. Rather than wrapping the strings around the tree in a circular fashion, work from the top down, covering one vertical section at a time. This makes it much simpler to get them on (and off later! ), plus it gives you excellent coverage and allows you to tuck away the cords easier. If you’re expecting houseguests this year, make sure their rooms feel inviting. You can do little things, like adding a reading lamp and books or piling on some super thick blankets, to make it an extra cosy retreat. If you enjoy any kind of DIY, now’s the time to do it. Turn up some holiday tunes, bring the family together, and build a gingerbread house or handcraft some decorations. Your project won’t last forever, but the memories are sure to. Although safety checks aren’t exactly festive, they’re an important part of ensuring the holiday is fun for everyone. Electrical items (especially light strings and plugs) should all be checked. If you’re expecting anyone who is elderly, make sure there aren’t any rugs that can roll up or other tripping hazards. Spend some time cleaning out the oven, so you don’t wind up with an emergency. It’s also a good idea to try to look at things from a child’s vantage point if you’re expecting any wee ones. 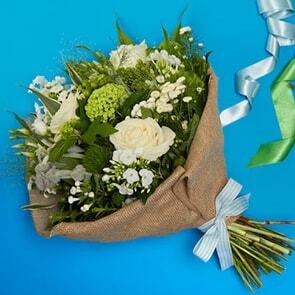 Fresh-cut flowers can liven up a room and bring smiles to everyone who sees them. Use flowers as your centrepiece or add them to the entryway. You can also place them in the guest rooms as a thoughtful gesture. 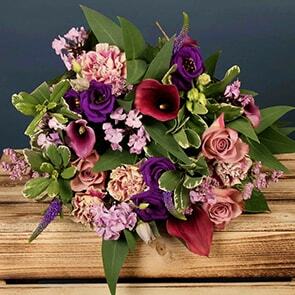 We offer free same-day delivery in Dublin and next-day delivery throughout Ireland, so you can order at the last moment and still have a lovely display. 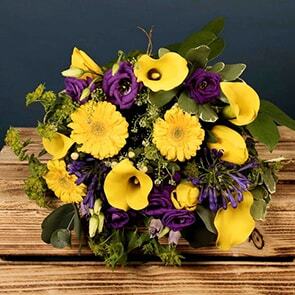 Browse our Christmas collection and select your bouquets today.